Gulan’s Creative Director Richard Wilding gave an illustrated talk for the Reconciliation and Peacebuilding programme at the University of Winchester, as part of their ‘Talking Peace’ series. There is a saying that Kurds have “no friends but the mountains”, as successive conquerors have driven them deep into the hills to preserve their culture and lives. The current crisis in the region opens another chapter in its troubled history, with 1.8 million refugees and internally displaced people now seeking a safe haven from the nearby conflict. 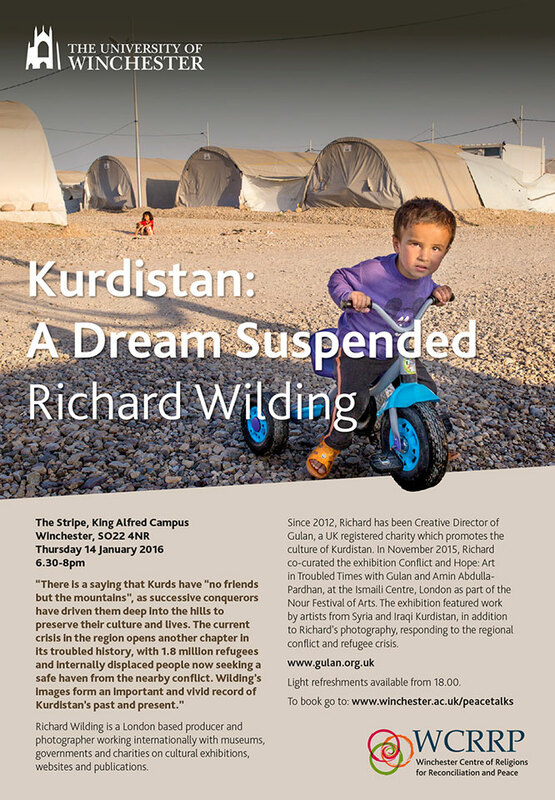 Wilding’s images form an important and vivid record of Kurdistan’s past and present.